Step back in time at ''The Coolest Joint in Town'', for a taste of the Old Wild West, featuring the best steaks, ribs, and prime rib. 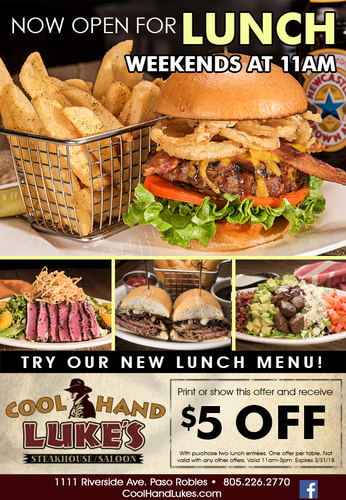 Cool Hand Luke's promises large servings, a full wine list, a one of a kind saloon, and the best dining value available. Open for dinner 7 days a week at 4:00pm.